"Hi, I'm Roman - I gotta tell ya, the lines of people waiting to get into your and Dhamesh's keynote are like lines to a Grateful Dead concert"
"I know! It's unbelievable - even for us Hubspotters!" 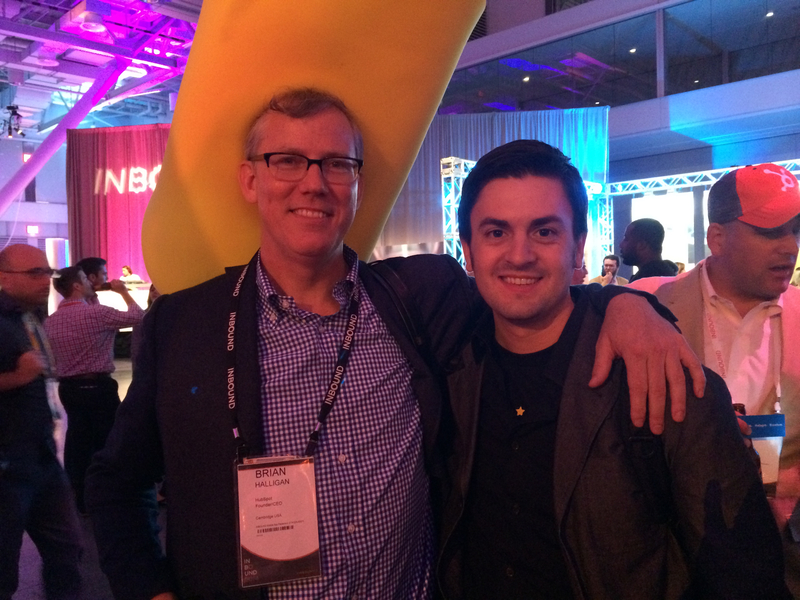 I had walked up to HubSpot's CEO, Brian Halligan, wearing our LyntonWeb #InboundCowboy hat and hoping for a quick selfie. What I received instead was joy. Yes - joy. If you were to ask me what my main takeaway of the #Inbound14 conference was - I would say joy. The joy of being part of a 10,000 person marketing movement. The joy of being engrossed in session after session of inbound learning and best practices. And the joy of being able to do inbound for clients. Am I being too shiny and happy for you? Sorry. 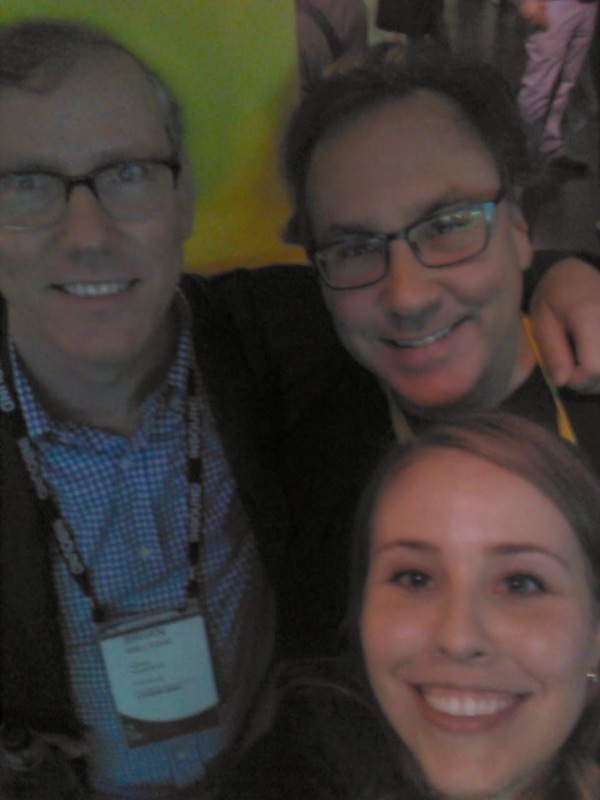 #Inbound14 was a fantastic conference. I've been to 2 previous Inbound conferences and the continued growth of the HubSpot/Inbound movement is undeniable. Aside from joy - there were concrete observations and impressions I thought I'd share. 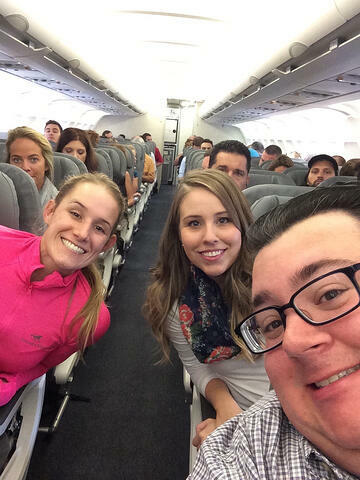 So please view this as a hybrid travelogue and review of my inbound experience. As we did last year the LyntonWeb team, we rented a house through AirBnB. This year, our Lynton Crib was in Jamaica Plain. If you are at all interested in building a strong team culture and happen to be traveling with a team, rent a house for them. The notion seems uncomfortable at first - we're so used to holing up in individual hotel rooms for business travel. But sharing meals and rooms and bathrooms and card games does amazing things to bond a team together and build mutual respect. And thanks Mike - you were a great roomie! 10,000 marketers can't be wrong. But what stood out to me as I walked about Boston's cavernous Convention & Exhibition Center were old white guys. And, no I'm not self-identifying here. These old white guys - balding, grey hair, blue blazers, titles like VP and Senior Something on their conference name tags were a relatively new and prevalent species for this inbound conference. And when old white guys in executive positions at big companies start poking around and paying attention to this HubSpot thing - you know you're probably on to something. Something that can help marketing and (now) sales do stuff better and more efficiently. And when marketing managers go into their execs to pitch HubSpot they'll (hopefully) finally get the lift that inbound + HubSpot can achieve. I had the opportunity to attend Joe Chernov's State of Inbound session and appreciated his focus on Inbound rather than just Inbound Marketing. Joe highlighted Inbound as an approach that can be used for marketing and sales and even as an overall organizational mindset. I found that valuable. I'm regularly reminding clients to leverage their inbound websites for sales, recruiting and research. It's important not to limit inbound to marketing. In Dharmesh and Brian's keynote, Dharmesh highlighted the notion of a cobbled together technical frankensystem - the notion of multiple systems passing information from one database to another with none of them doing it all that well. In 2005 HubSpot sought to change that by creating an all-in-one marketing software. In 2014, HubSpot is seeking to squash frankensystems even more by incorporating CRM functionality into it's platform. I had no idea Simon Sinek existed prior to seeing him speak at #Inbound14. The dude rocks. One flip chart, 4 letters, an hour talk and the audience was riveted - with some sections giving him a standing ovation. His notion of selfless leadership is very much aligned with the nature of inbound and its desire to nurture and help rather than interrupt. Simon's only 'must have' for a leader? Courage. For being a skinny Canadian, Malcolm Gladwell had an amazingly robust speaking voice. I had to keep checking to make sure his voice wasn't being pumped in from somewhere other than his throat. His notion of leaders having the concept of 'disagreeableness' is also in tune with inbound. True leaders (much like the inbound approach does) need to push against the norm and against conventional wisdom to drive lasting change. In any conference, there are glitches and points of contention. There were complaints about WiFi and connectivity. But for 10,000 folks and all those sessions - I thought conference organizers did well. I didn't personally attend Martha Stewart's keynote but I did catch some snarkiness and negativity in the Twitter and Inbound App streams. I'll let readers of this post add additional context if they so desire. One comment that struck me as valuable from Martha's keynote was that (paraphrasing here) if she can make carrots enchanting we should take that notion to heart in making our own client's content enchanting. Connecting with our clients at our hosted happy hour was another excellent culture building event. It was a nice combination of talking shop and sharing drinks and learnings from the conference. It was definitely the highlight of the conference for the LW team. Joy is an interesting thing to come away with from a conference. It's certainly better than anger - or a hangover. I think there is something to be said for a B2B company that can inspire joy. Apple certainly can inspire joy in the B2C space. But the B2B gene in all of us probably errs on the side of gloominess. Thanks HubSpot for making this conference (and the client work we do) joyful. OK. I'm tapped. Your turn. Agree? Disagree? Other insights?